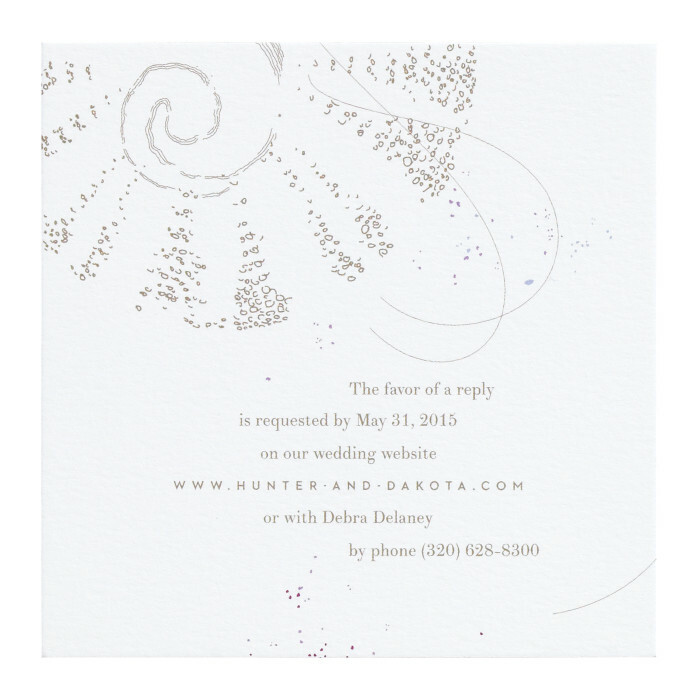 Rugged yet elegant, the Dakota RSVP Card is Yuling's modern take on a reply card. 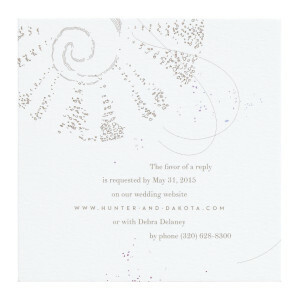 Rather than being mailed back, this card directs guests to RSVP online or via email or phone. The piece is flat printed single-sided on luxuriously thick cover stock with a subtle eggshell textured finish. $366 for 100 flat printed RSVP Cards.